Leberkaese. or sometimes Leberkase, means literally translated "liver cheese" in German, even though in Bavaria it does not contain any liver at all. 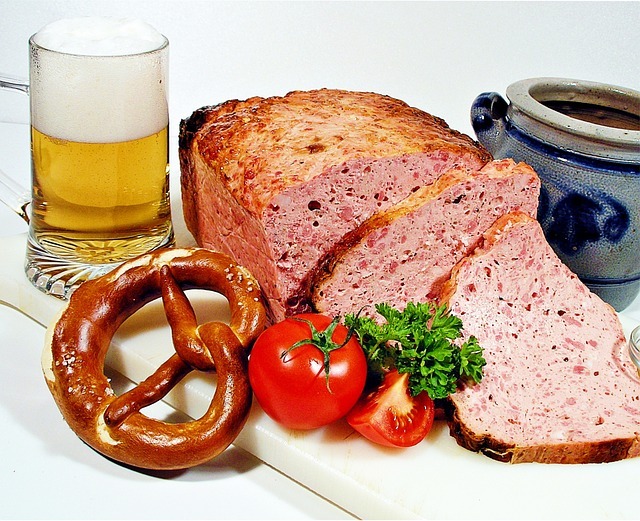 Leberkaese is a special sausage meat and very popular in the South of Germany, Bavaria, and Austria. Find out today how to make a Leberkase Schnitzel!It is said that the meatloaf was invented in 1776 by the cook of Charles Theodore, Elector of Bavaria, although this story has been heavily contested. It is baked in the oven like a loaf until it shows a brown crust. Tastes also great warm combined a roll and mustard, like a sandwich. This is a very popular snack in Swabia and is served in any Bavarian Biergarten where you would enjoy it with a glass of Hefeweizen. Happy Cooking! - Place on one plate flour, on the second the bread crumbs, and on the third an egg, add a dash of salt and whisk with a fork. - Slice the Leberkase in thin slices (1 inch or 1.5cm thick), or get them already pre-cut at your store. - Place the slices first in flour, followed by egg and finally bread crumbs. 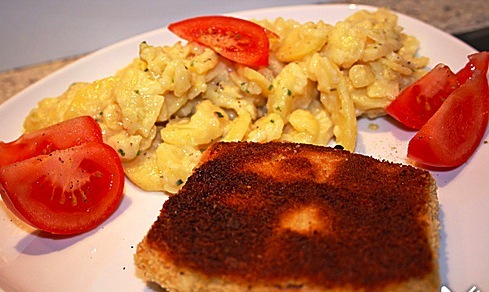 - Melt ghee (clarified butter) in a skillet and fry them on both sides. Serve the Schnitzel with mashed potatoes and/or potato salad. You also can place a fried egg on top. Tastes great with French Fries and a green salad.